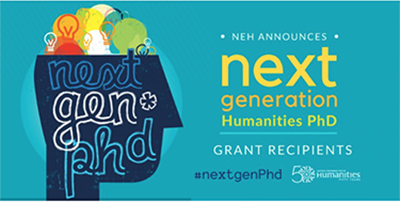 The UC Santa Cruz Next Generation Humanities Ph.D. Planning Grant is part of a major effort launched by the NEH to transform the culture of graduate education, tackling the issue of how Ph.D. students who immerse themselves deeply in graduate humanities research and writing can look to apply their skills and experience beyond teaching and professor positions to a broader range of careers. UC Santa Cruz Vice Provost and Dean of Graduate Studies Tyrus Miller noted that the Next Generation Humanities Ph.D. grant program represents a new focus for the National Endowment for the Humanities. 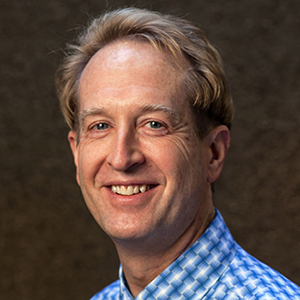 Miller will be the director of the project funded by the $25,000 matching NEH grant, working in collaboration with the Institute for Humanities Research at UC Santa Cruz. Miller emphasized that the NEH grant is a planning grant, designed to support a year-long process developing ideas and initiatives to be shared with the Next Generation consortium and eventually with the broader public. “Our planning efforts will be a genuine multi-partner collaboration, involving the Division of Graduate Studies, the Humanities Division, the Institute for Humanities Research, the UC Santa Cruz Libraries, the Alumni Association, and other entities on and off campus,” said Miller. “We will also, of course, use the results of our planning to implement new ideas generated in the process and to seek additional grant funding for longer-term institutional change,” he added. A principal part of the funding will additionally support a graduate student researcher associated with the project, who will help to coordinate it and provide input as a graduate student participant on the planning committee. “Our graduate researcher will be Laura Cisneros of the History of Consciousness Ph.D. program, whose background in law offers a perspective and set of experiences in another field presently undergoing rapid change and adapting to a new professional context,” said Miller. The planning committee will also work with the Alumni Association to use its Career Alumni Network as a mentoring and professional development resource for Humanities Ph.Ds. “We will also be developing syllabi for a set of professional course modules that students can take to supplement their regular degree-program course work and broaden their career opportunities--particularly for professional employment outside of the academy,” he added.